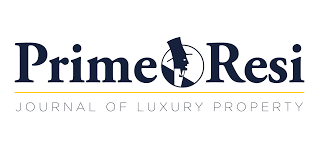 When Theresa May survived a no confidence vote on her leadership of the Conservative Party on 12 December, the journal of luxury property - PrimeResi - canvassed opinion among the leading industry voices. "The position for the market has not really changed. The result has avoided a protracted and unwanted (except by a few) leadership contest. Has it changed the strength of the UK's position? I don’t think so. A ‘no’ vote (if it had taken place) on the exit agreement on Tuesday might have changed things though." "So the position for the market has not really changed. Very few buyers in the last year have altered their plans or delayed decision-making because of Brexit – it is already factored in to the market. The spectre of a Corbyn/McDonell government remains the bigger threat by far." Opinion, however, was split among leading property agents. "Had May not won the vote of confidence, we would have been plunged into an even darker hole", said one. If a Brexit deal is signed off by Parliament, "normal transmission will return to the residential property market", says another. A spokesperson for the Royal Institute of Chartered Surveyors however, commented that there is a "resounding sentiment of frustration from our professionals operating in the UK residential sector", while another agent commented that Theresa May has "significantly lessened her negotiating position with the EU", but also said that the prime central London property market is "resilient and robust", and "assisted by the weakened pound".